A former Director-General of the National Sports Commission (NSC), Dr. Amos Adamu, has enjoined the federal government to support the candidature of a Nigerian for the position of President of the Federation of International Football Association (FIFA) in the forthcoming world football-governing body's election scheduled for February 2016. The former executive member of FIFA noted that this is the best time for Nigeria to present a candidate that has the capacity in terms of managerial acumen, great personality and financial resources. According to the veteran football administrator, the demand of the office of FIFA presidency goes beyond just being a sports person as it requires a wide range of diplomatic, business and administrative skills. Adamu who made the remarks in Abuja on Thursday while playing host to select ex-Super Eagles' players said, “the position of FIFA president is open to all member-countries and I strongly believe that Nigeria has well-meaning individuals that have what it takes to take the football body to greater heights. 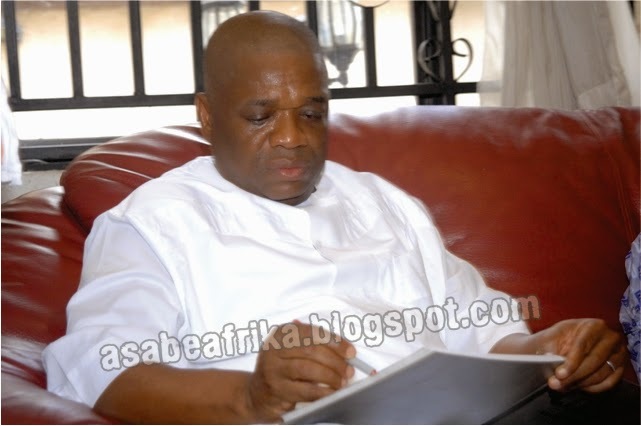 "In the past few weeks, I have been following the calls from soccer stakeholders for African Pillar of Sports, Dr. Orji Kalu, to join the FIFA presidency race. There is no doubt that the former governor has a good chance to clinch the ticket owing to his antecedents not only in the sports circle but also in the business and political world. "Kalu has been playing different roles in football administration and sports in general. You will recall that during his tenure as Governor of Abia State, he ensured that Enyimba Football Club became a household name on the African continent as he led the team to win the trophy for the first time by any Nigerian clubside. Apart from this, under his watch, Enyimba FC became the first club in Nigeria and among the few in Africa who have had the privilege of not only winning the trophy more than once but also winning it back to back in 2003 and 2004. 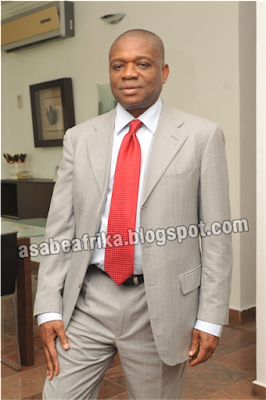 “Kalu's candidature is not only good for football enthusiasts but in the interest of Africa. This is an opportunity to redeem the image of Nigeria through sports", Adamu declared. The gathering had in attendance ex–international footballer, John Fashanu.